I absolutely love how creative writers Amy Chu and Erik Burnham get with KISS: The Demon #2. 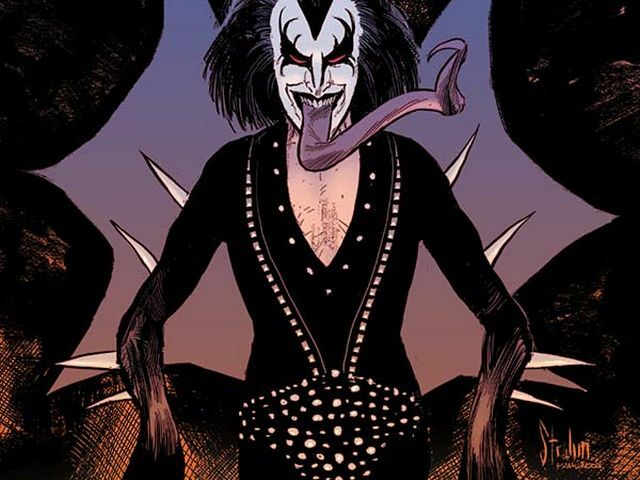 They find a brilliant way to bring Gene Simmons' alter ego into the story without in a metaphysical sense versus physical presence. Artist Eman Casallos gives the Demon the menacing look he deserves and commands. As the dramatic last page sneaks up on you, you're left hanging in startling anticipation. 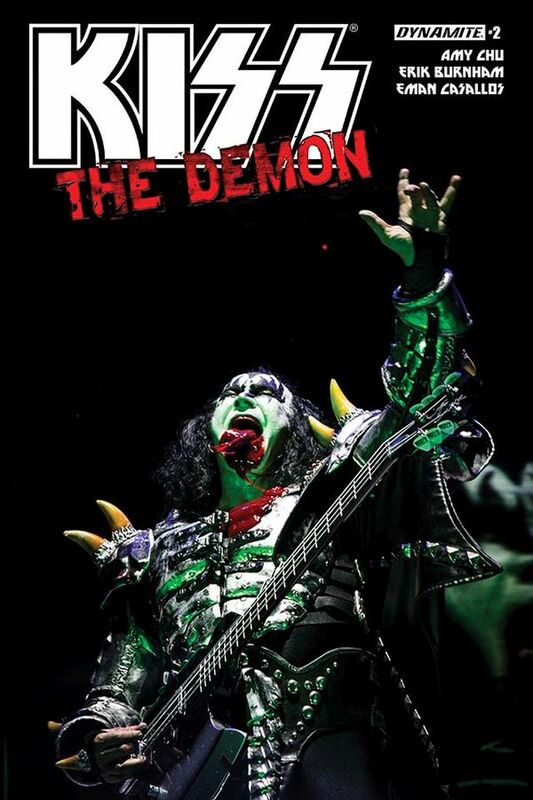 This book definitely takes the legend known as the Demon of KISS into unexplored territories. 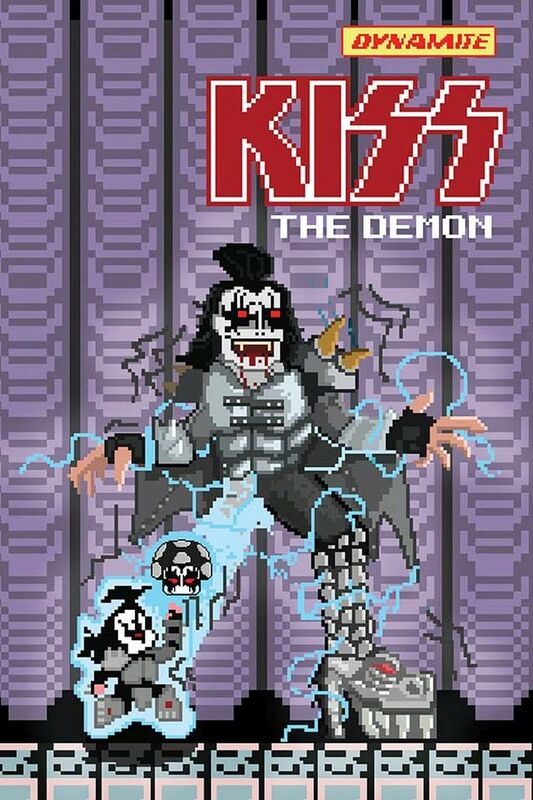 After the sudden death of his father, Sam Jr. takes over the Blackwell family company in KISS: The Demon #2. Milo's family moves to California and Kimi gets a scholarship to study abroad. Despite being apart, the former bandmates remain forever connected by their love of music and KISS. However, Sam's obsession with the band, and especially the Demon, takes on a new and potentially dangerous twist. KISS: The Demon #2 is rated T+ for Teen Plus. It contains violence, gore, profanity, and frightening and intense scenes. There's one instance where a character curses and a bit of blood at one point. Amy Chu and Erik Burnham wrote KISS: The Demon #2. Eman Casallos illustrates the issue. It was released on February 22nd through Dynamite Comics. The book is 32 pages long. 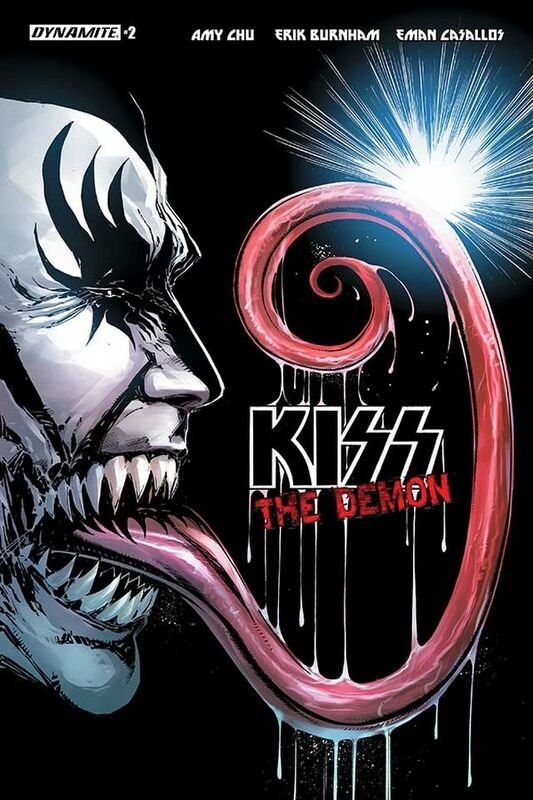 KISS: The Demon #2 is available now in print and digital editions.